You are the Icon of Indian advertising Industry and I was delighted to know that you have been appointed as the brand ambassador for D&AD White Pencil Award. The new award from D&AD has been announced for an idea that raises awareness or changes behaviour around a pressing social, environmental or health issue. This is a significant initiative in the world of communication. Your mile sur humara tumhara’ for the National Literacy Mission in 1988 got etched in our collective Indian advertising memory years ago. . As also your anti smoking ads for the Cancer Patient association which won you two Cannes Gold Medals in 2002. In 1999 “Bhopal Express” – a film based on the Bhopal gas tragedy of 1984 that was co- written by you, acted as a catalyst in bringing to the forefront the human rights violations committed by Union Carbide , a corporate genocide. You supported the cause of Bhopal gas victims, and I respect you for that. May I ask you, if you really know whether Vedanta has enabled or disabled India ? Whether Vedanta has protected the environment of the tribals in India, or has been on land grabbing spree and attacking peaceful protestors? I urge you to visit Niyamgiri hills, I am sure you will love the paradise on earth, which Vedanta is hell bent on destroying . Niyamgiri Hills, named after the Niyamraja, the main deity of the Donagria Kondhs, are one of last untouched wildernesses of Orissa. Rising to a height of more than four thousand feet, it is the source of Vamshadhara river as well as major tributaries of Nagavali rivers. Niyamgiris form a distinct phytogeographical zone because of its height and its highly precipitous topography . 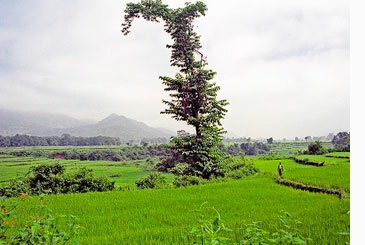 It has some of the most pristine forests in Orissa. Niyamgiri flora is of ‘great phyto-geographical importance’ as the hilltops harbor high altitude plants with Himalayan/North Indian and Nilgiri/South Indian elements. Preliminary studies show that it has approximately 50 species of important medicinal plants, about 20 species of wild ornamental plants, and more than 10 species of wild relatives of crop plants . The forested slopes of the Niyamgiri hills and the many streams that flow through them provide the means of living for Dongaria Kondh and Kutia Kondh, Scheduled Tribes that are notified by the government as ‘Primitive Tribal Groups’ and thus eligible for special protection. In addition, the Dongaria Kondh, whose total population is 7952 according to the 2001 census, are regarded as an endangered tribe. Schedule V of the Indian Constitution which enjoins the government to respect and uphold the land rights of Scheduled Tribes applies to the entire Niyamgiri hills region. While the Kutia Kondh inhabit the foothills, the Dongaria Kondh live in the upper reaches of the Niyamgiri hills which is their only habitat. In the polytheistic animist worldview of the Kondh, the hilltops and their associated forests are regarded as supreme deities. The highest hill peak, which is under the proposed mining lease area, is the home of their most revered god, Niyam Raja, ‘the giver of law’. They worship the mountains (dongar from which the Dongaria Kondh derive their name) along with the earth (dharini). These male and female principles come together to grant the Kondh prosperity, fertility and health. According , ‘Report of the four member committee for investigation into the proposal submitted by the Orissa Mining Company for bauxite mining in Niyamgiri’, dated August 16, 2010, by Dr N C Saxena, Dr S Parasuraman, Dr Promode Kant, Dr Amita Baviskar. Submitted to the Ministry of Environment & Forests, Government of India. Research by Amnesty International and other local and international groups documents the serious and continuing pollution caused by the refinery’s operations. Despite the string of decisions against Vedanta, the company has failed to remedy the pollution.The latest high court verdict states that Vedanta cannot circumvent conditions issued by India’s Ministry of Environment and Forests (MoEF), stipulating that plans for expansion of the refinery should go through a fresh environmental and social impact assessment and a public hearing process. Residents of 12 villages who live in the shadow of the massive refinery – mostly Majhi Kondh Adivasi (Indigenous) and Dalit communities who rely on agriculture for their livelihoods – have long campaigned against the expansion.India’s great land grab continues, with police forcibly evicting tribal villagers in Orissa from land sold to UK-based Vedanta Resources to use as a toxic waste dump . In your various interviews you have time again said you get creative insights from the people you interact with and also while you make ad campaigns you relate to the common man.I urge you to go and find for yourself what Vedanta is doing to Niyamgiri Hills and talk to the tribals yourself to know the truth. Now after reading my letter and watching the videos you tell me , is Vedanta “ Creating Happiness “ or ‘ Faking Happiness” ? I wonder what explanation an Ad guy can have other than money. Selling out . Does the prostitute care about the moral fiber of her customer…if so she’s wouldnt be in business. There should be stricter antitrust laws that prevents companies under investigation from carrying out PR and so called CSR campaigns. Why can’t this White Lie ad be banned from broadcasting on TV channels….?? Come down and see the truth. Don’t comment about a place just sitting in a different palce. This is what David Philip from Kalahandi mailed me when I forwarded this letter…….. I am from Kalahandi and working in Kalahandi. I am not convinced on the advertisement given by vedanta in TV. What is it doing. Let them name the villages they are working and let them state the achievements. This advertisement is just white wash of the exploitative illegal intervention in Kalahandi. Would you please sugggest me what we can do. what can be done what is done is not the question? The main concern is what Lanjigarh was all about in the past and what is the present sinario. A company is not a repalcement of the govt. It is only a supliment. As I worked in the village. I agree with the advertisement. If you realy want to know that what you can do. Then just got to a remote tribal village, staty there, understand the culture and then speak the truth. 1) Did you all know the truth about Vedanta before readng this article? 2) If not, do you think that Piyush MUST have known, and that he was ‘selling out’ ? Or could it be that (like you and me) he DIDN’T know the whole truth? I had been adimiring the ad all these days and this was the first time that I heard about ‘Vedanta’. The ad creates such a strong and positive brand impression….after reading through your article I detest the fact that some people in our country have the guts to actually create such positive imageries for organizations such as Vedanta…it makes me feel sick! Priyanka, thanks for reading lettre, sharing and commenting, it is important that although government is equally guilty of allowing vedanta of human rights violations but somewhere the mass communictaion and advertsising for a brand like vedanta which has soaked their hands in blood of tribals of niymagiri have to take a call on the ethics, shouldnt they say NO irrespective to how much client offers, wouldnt they have certain non negotiables in advertising ? no body kiding with no body. We being a selfish person in our own comfort zone commenting and feeling sick. Do you have the guts to help the poor people in your native place with out any wanting? Perhaps not. Come down to Lanjigarh? Research on the history and then you can find the truth. While writing/reading this story one would have consumed or used some metal items may be its a steel glass, or a utensil or Al. foil or a tea bag stappled with Al pin or ……… the metal in our daily life has come from one or the other ‘x….giri’ hills which was as beautiful as described above. Nature is always beautiful …..where is the paper coming which is used by Ad agencies…its from the same nature….where is the coal power coming from …again nature.. If the economy has to progress then the minerals have to be explored and exploited. Our responsible citizens should force the regulatory agencies to ensure and comply to the legal requirements while approving any such projects may be its for Aluminium or iron ore or coal which one day has to be liberated….. Nothing is expected moral from a anti-human company like Vedanta. In the market economy advertisement is used as a weapon to make the customer senseless. Thus the vedanta company makes everybody from the Government to the so called elites in the process of globalisation. Do you thing that the so called for-human persons now a days expresing their concern about the tribals are doing the same with out any vested interst. Accept the truth know one can do any thing for any body with out any out put. Perhaves you will not do anyting for your family members also. Go to a village called Kunakadu, Lanjigarh Block, then comment. Do not they need change? Can you promise that know “GOD”giri will be mined in the worl. Where form the other contries getting the mineral. I think it is harvested from a crop field like Rice/ Tamato. If so it is ok. Else is not that mountains were worshiped for their beauty and purity. Why just washing the brains of the simple tribal brothers and sister who are very loving and only know the right face of the worl. They neither nows the politics nor practicing the same. They accept all the persons to their land you are there and pretending to help tthem. They just not bifercating any body where friend or enmy. Be a human and let ODISHA be enriched by best utilization of the natural resources. If we can aware the public about best uses of the resources than will be a better impact on the human life. You are ture. Every body doing the same. We may be in some of the moment of time a party to thay with out our knowledge. So we should not blame to a particular person/ company. We should first rectify ourself. Dear kamayani have you come to lanjiagh ? have you seen the place where the tribals are staying? Waht your govt or NGOs is going for their development. Mr. rahul Gandhi came here in 2008 and told that he was with them but till now he has done nothing nor his govt for them. But Vedanta is trying to devlop the tribal area to give them better education, healthcare and livelyhood. If you are so serious about the tribals then come here and do development for them. Reblogged this on doop HQ. I am not a bit surprised that there are people supporting Vedanta, but it is an indication of the kind of astroturfing being tried by the behemoth. Thanks for creating this, I have reblogged it as well. 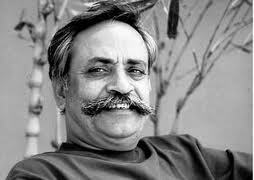 Piyush pandey is the one of the greatest creative man in the world when you will see his fevicol ad campaign you will find all that things. i know he is the godfather of ad industry in india , so what ? my letter clearly asks him to atleast follow basic ethics ?? and not be a party to leis fo Vedanta an its charity which is a charade for the mining giant to grab the lands of the tribals in india.